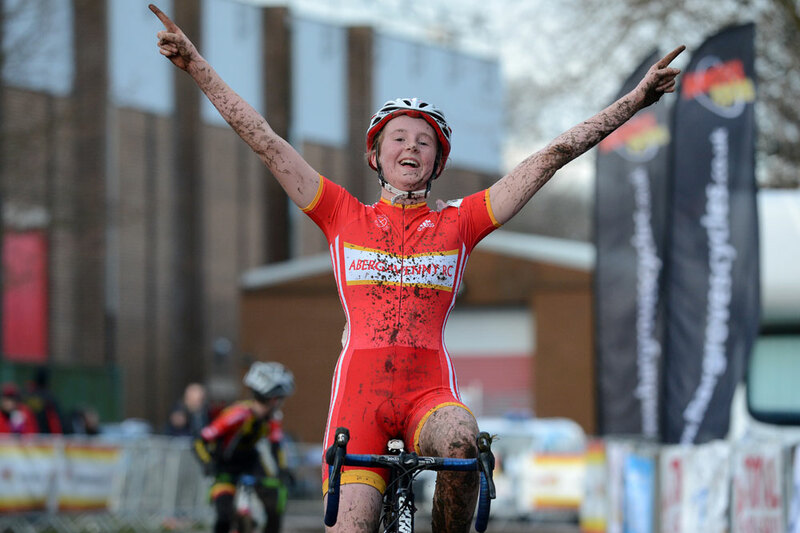 Seven British National Champions were crowned at the Moorways Leisure Centre in Derby on Sunday as the two-day event kicked off in style, with overnight rain having turned the technical course into a mud-filled challenge. The day opened with a spectacular duel in the veteran women’s race. 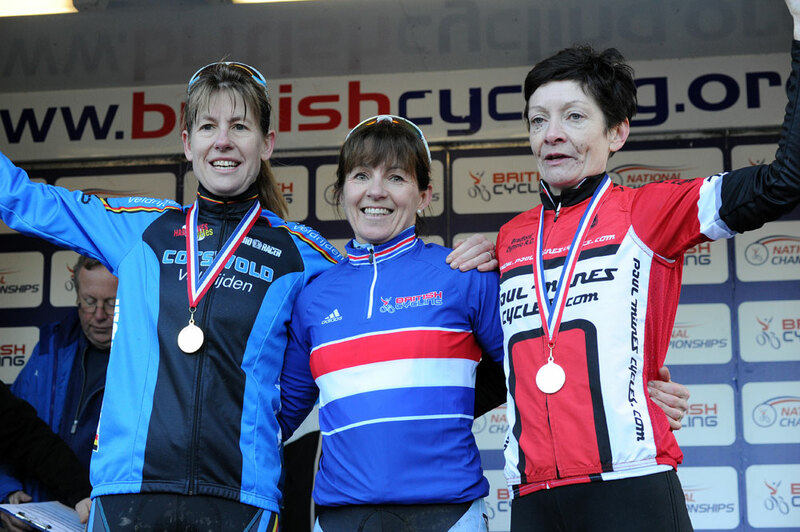 Tracey Fletcher (Team Empella) eventually edged out Claire Smith (Cotswold Veldrijden) by less than half a wheel to secure her first national title. 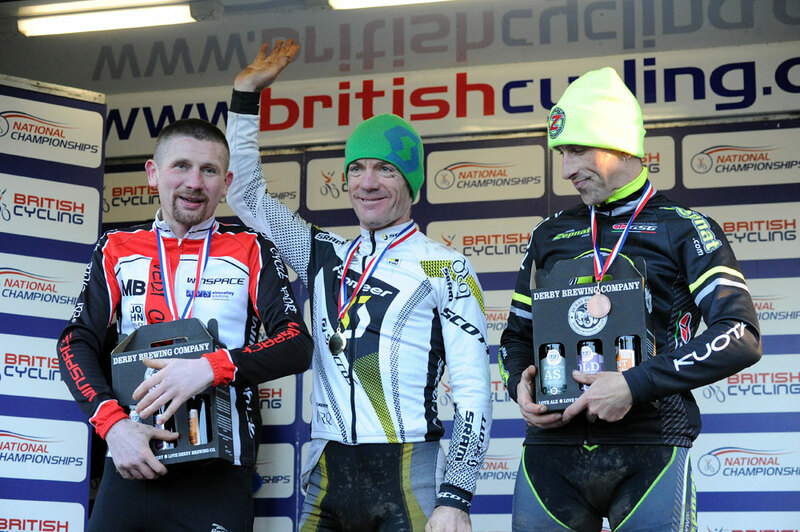 Nick Craig (Team Scott UK) was crowned 40-49 veteran men’s champion. Riding the first of two races this weekend, Craig rode away from the rest of the field to secure the title. And behind him Ian Taylor led Jedi Cycle Sport team-mate home to round out the podium. The Men’s over-50 veteran title was taken by Philip Roach (Team Jewson) who beat a strong field including Steven Davies (Hargroves Cycles) and newly-crowned world champion Dave McMullen (Cotswold Veldrijden) to secure the crown. Roach pulled clear of the field on the opening lap to establish a lead which he would not relinquish and secure a deserved win following a season of injury and misfortune. 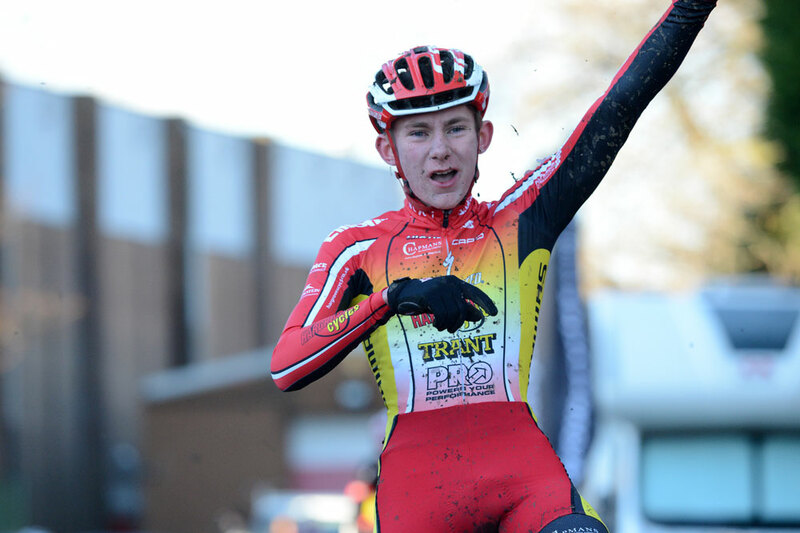 In the youth races Dan Tulett (Hargroves Cycles) was forced into an unfamiliar position having to fight from behind to take the under-16 title from early leader. Joshua Waters (Sherwood Pines Cycles). 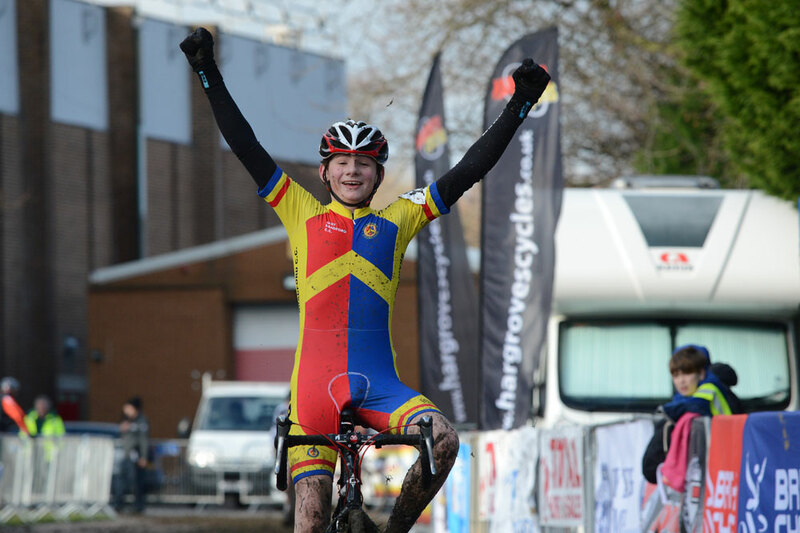 And the under-14 boys’ race saw another great tussle as Euan Cameron (East Bradford CC) exchanged the lead with Lewis Askey (Lichfield City CC) and Alistair Leivers (Blackpool Youth Cycle Association) before finally making a decisive break on the last lap. “It’s my first National Champs so I’m over the moon,” he said. Meanwhile both of the girls races saw solo victories. In the under-14s’ race the title went to a dominant Megan James (Abergavenny RC) who started from the front and rode away from the field title. Despite a slip on the final bend, James crossed the line with her arms aloft some three minutes ahead of a tired-looking Lucy Horrocks (Hope Factory Racing). 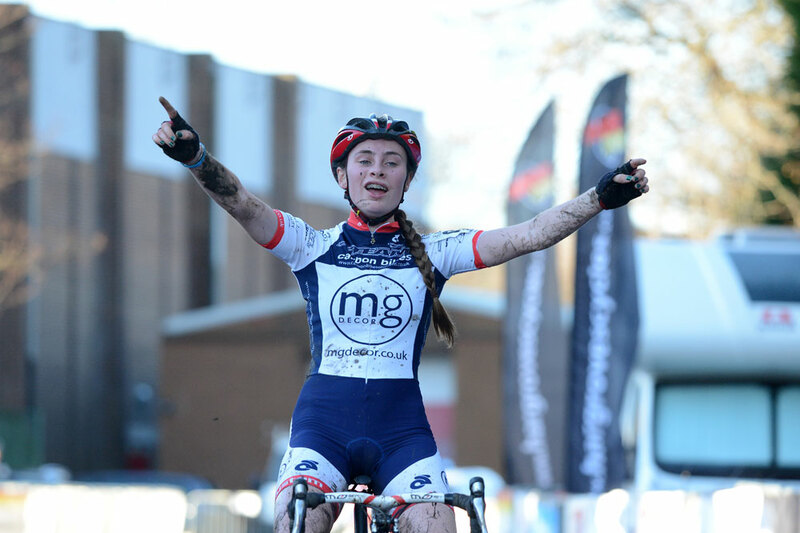 Charlotte Broughton (MG Decor) added to her National Trophy Series victory with another solo display in the under-16 girls’ race. On the first lap she rode away from the field, forcing a gap which would only grow throughout the course of the race.